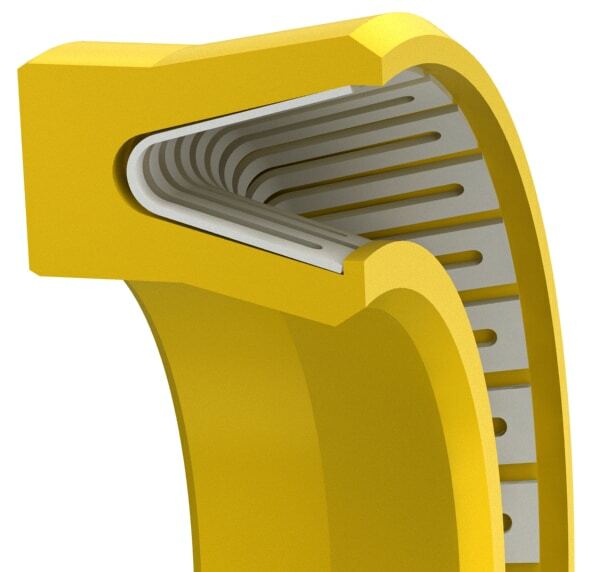 Non-symmetrical rod seal for use in dynamic sealing application. Chamfered seal lips provide for easy installation and better lubrication, resulting in extended seal and mating surface hardware life. Size Table (Inch)"The standard range sizes listed below are the preferred sizes for new design applications. Seals are available for any rod size in 0.001inch increments, including functional range. Additionally, we offer any other seal size as required. *Standard cross-sections (CS) listed and non-standard sizes can be provided for any shaft size up to 71 inches. ** Based on using no wear rings, larger clearance required if using wear rings. Surface finish: Shaft (A) plunge ground, Ra 4-8µin - Housing (D,L) Ra 16-32µin. Shaft material hardness 55-65RC. See Technical Info for more specific information. Size Table (Metric)The standard range sizes listed below are the preferred sizes for new design applications. Seals are available for any rod size in 0.01mm increments, including functional range. Additionally, we offer any other seal size as required. *Standard cross-sections (CS) listed and non-standard sizes can be provided for any shaft size up to 1800mm. **Based on using no wear rings, larger clearance required if using wear rings. 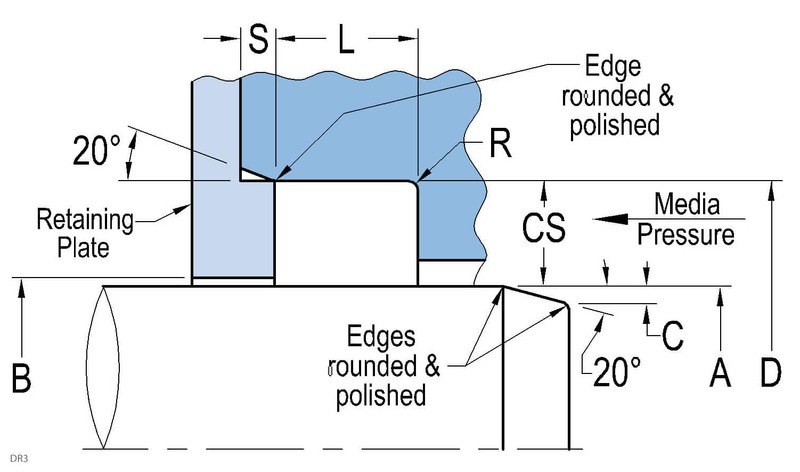 Surface finish: Shaft (A) plunge ground, zero lead Ra 0.1-0.20µm - Housing (D,L) Ra 0.4-0.8µm. Shaft material hardness 55-65RC. See Technical Info for more information.